Action packed or leisurely, we can customize your private tour of Israel according to your tastes and preferences. Whether you are planning to visit Israel with your family or a group of friends, to celebrate a milestone event or just to explore the country, we will make it the trip of a lifetime. Decades of experience in providing the highest standards of touring services are based on Shatour’s policy of paying attention to every detail. Our in-house operators will plan your unique trip according to your specifications, and our experienced and friendly guides will make it more interesting and memorable than you ever imagined. Start designing your custom Israel tour – call us today! We would strongly recommend Shatour if you are considering a family tour of Israel. We are a family of four -- two parents and two girls ages 11 and 13 -- and we used Shatour this summer for our first-ever trip to Israel. Shatour was very helpful in providing us with advice as we shaped our itinerary and made important choices about how we would spend our limited number of days in the country and in what order. They also provided guidance on selecting hotels. Once we arrived, everything felt seamless and easy. Each day came off as planned, and we were provided with the flexibility to make adjustments along the way. 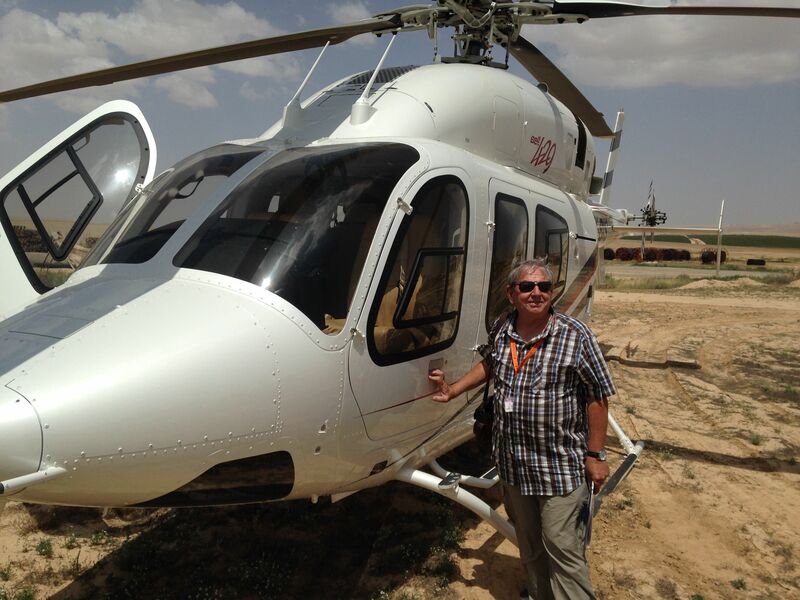 Of our 14 full days on the ground, we spent 10 of them with our guide Lior. For a majority of these days, we were with Lior not only all day but also into the evening. He is one of the easiest people to be around that we have ever met, which was critical given all of the time that the 5 of us spent together. He also has the patience of Job (biblical reference only kinda intended), which is important when dealing with families. In addition to being a pleasant and easy-going person, Lior is not just a knowledgeable guide but an archaeologist. We had not considered this before signing up with Shatour, but having this kind of expertise in your guide is invaluable as you view sites that are thousands of years old, particularly if you are like us and want to understand the difference between historical facts and best guesses. When it is time to say goodbye to Israel, Shatour even arranges for a company to help you at the airport with all of the security hurdles involved with your departure. This was a fantastic trip! Thank you for organising a most memorable trip for our family. Your expertise in choosing just the right spots for us to enjoy, learn and experience , was once again a huge success . We look forward to returning to Israel and seeing you soon. Dear Shatour: We have arrived back to the US and want to express our deepest gratitude for the most amazing experience we just had in Israel. The main reason for our wonderful trip was our guide Lior. He was so patient, friendly, knowledgeable, funny and warm. We felt like we were with a family member the whole time. Lior's knowledge about everything was very impressive. The places he took us and the information he bestowed on us was truly unbelievable. The restaurants he suggested were all great. We tried all different foods and everything was delicious. Liar got it right every time. We so enjoyed meeting his family and spending some time with them. They were a delight. We will make every effort to suggest Shatour to anyone we know that might be planning a trip to Israel. From the start of planning our trip to the very end, working with your company has been a joy. We hope that there will be an opportunity to once again engage with Shatour. Also, if Lior or anyone from his family is ever in the US and wants to visit California please let him know that our doors are open and we would love the chance to show off our state. As I start to list sites I’m aware of all the places I’ve omitted. As I’m sure Nathan would readily admit, he could have taken us on a tour of Israel lasting years rather than days and never exhausted his repertoire – what an incredible font of knowledge, information and lore! © Copyright 2017 Shatour. All rights reserved. Another Website Designed by J-Town Internet Services Ltd.